The first sunrise of November 2016 was quite stunning on Tuesday. A few high clouds made for a nice background. Don't forget that we 'Fall Back' 1 hour this weekend, which means our sunrise will be one hour earlier and our sunset will be one hour later by next week. 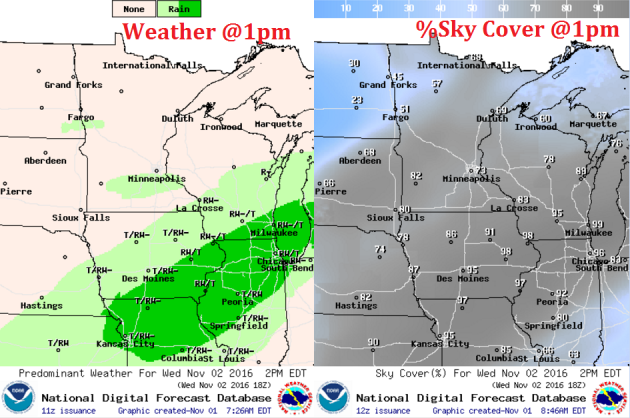 Look a the dramatic change in our sky cover from near sunset Monday to Tuesday. While Monday was breezy, cool and a bit on the damp side, Tuesday was nearly the complete opposite! Here's the weather outlook from Wednesday to Sunday, which shows mostly quiet conditions for an extended day period. There may, however, be a few light rain showers or sprinkles across far southern Minnesota on Wednesday, but most will stay dry. The next best chance of light rain doesn't appear to be until late Sunday/early next week. The temperature loop in the lower to middle part of the atmosphere shows mostly mild temperatures continuing across the Upper Midwest from Wednesday to Sunday. Note that only a brief blob of cooler air drifts through the Great Lakes Region. Much of the region will remain warmer than average over the next several days. WOW - this is great! 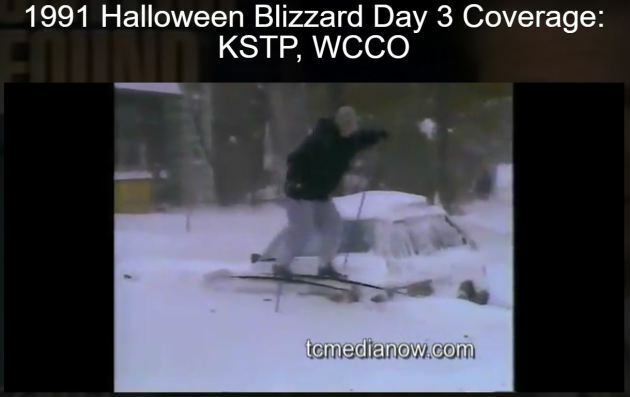 Here's day 3 coverage of the great 1991 Halloween Blizzard. Glad someone has a record of this stuff! "Day three of the infamous 1991 Halloween Blizzard. Coverage continues with KSTP and WCCO reporting on snow removal, power outages, and other humor and tragedy that comes with any Minnesota snow storm. Credit: David Olson"
Here’s a wonderful mix tape from KFAI’s MinneCulture, which includes interviews from staff members that worked during the blizzard as well as other stories from the massive storm. Weather and the World Series? HA! 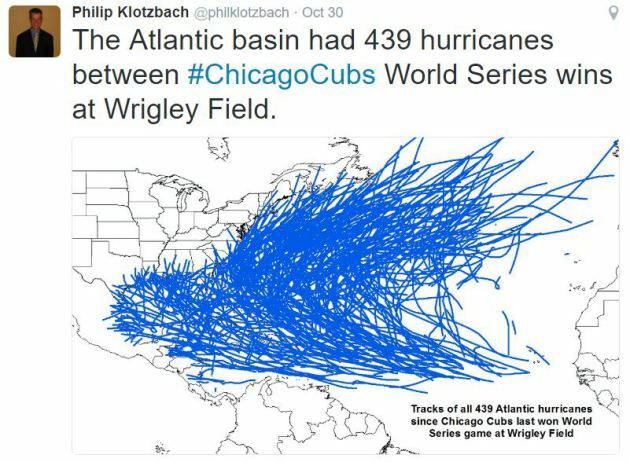 Here's an interesting tweet from @philklotzbach - he found that there were 439 hurricanes in the Atlantic Basin since the Chicago Cubs' last won a World Series game at Wrigley Field! WOW! What stretch... The graphic below shows the paths of all 439 hurricanes! The yin and yang of a crummy fall day and a beautiful fall day can be pretty dramatic. Take this week for example. It was a cool, breezy and drizzly Halloween, but was followed by a gem Tuesday. I am certainly not complaining about the abnormally warm fall weather, but to be honest, it is a bit disturbing. I feel like things are all out of whack. Weather maps look more like September and early October rather than November. While we may see a few dips in the temperature department, I don't see any bone-chilling or long lasting cold snaps anywhere anytime soon. In fact, According to NOAA's Climate Prediction Center, much of the nation will remain above average through the middle part of the month. Wednesday features a brief interruption in a stretch of sunny weather that will resume again Thursday. There may even be skimpy shower or sprinkle across the southern part of the state later Wednesday, but most will stay dry. 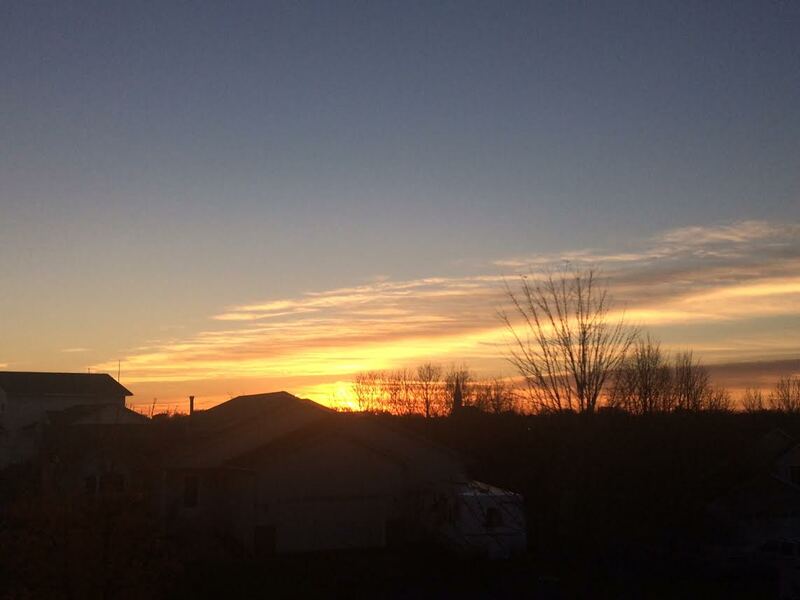 Sunshine and mild temps persist for the next several days. 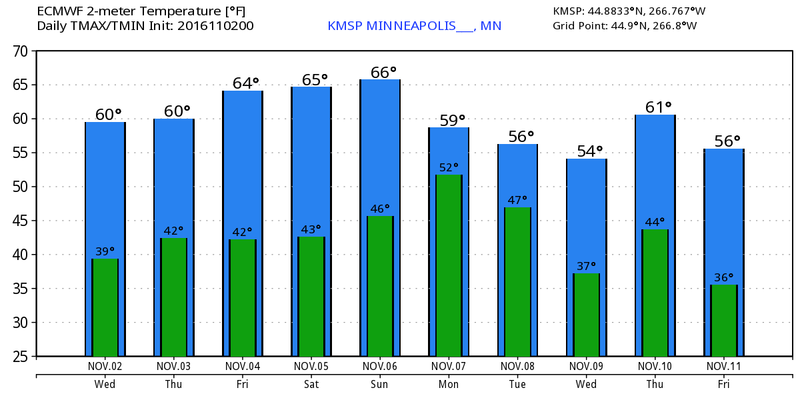 MN deer hunters will be warm in the woods this weekend. WEDNESDAY: Filtered sunshine. A few light showers or sprinkles possible in southern MN. Winds: WNW 5. High: 60. WEDNESDAY NIGHT: Gradual clearing. Winds: WNW 5. Low: 42. THURSDAY: Bright sun returns, feels more like October. Winds: SSW 5-10. High: 59. FRIDAY: Mostly sunny and mild. Winds: WNW 5-10. Wake-up: 44. High: 64. SATURDAY: Warm and quiet MN Deer Hunting Opener. Winds: SE 5. Wake-up: 45. High: 63. SUNDAY: Clouds increase. Few PM showers. Winds: SSE 5-15. Wake-up: 45. High: 62. MONDAY: Breezy. Passing showers possible. Winds: S 10-20. Wake-up: 46. High: 60. TUESDAY: Cooler winds. Light rain chance. 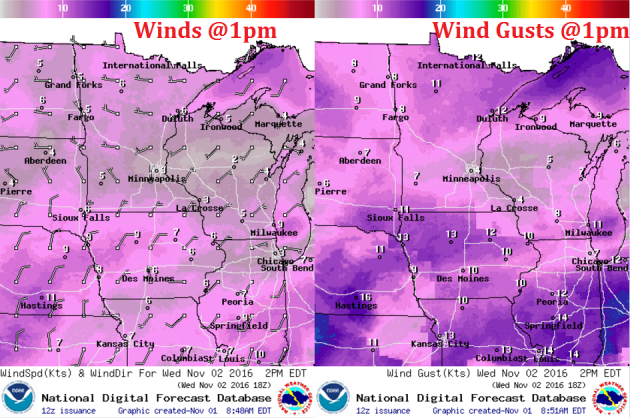 Winds: WNW 10-20. Wake-up: 44. High: 56. 1938: A tornado touches down at Nashwauk in Isanti County. Many livestock killed. 1842: A mild spell occurs at Ft. Snelling, where the temperature rises to 60 degrees. High temperatures on Wednesday will still by fairly mild across the even with more cloud cover. Note that several locations across the southern half of the state will warm to near 60F, while areas in the northern half of the state will warm into the 50s. 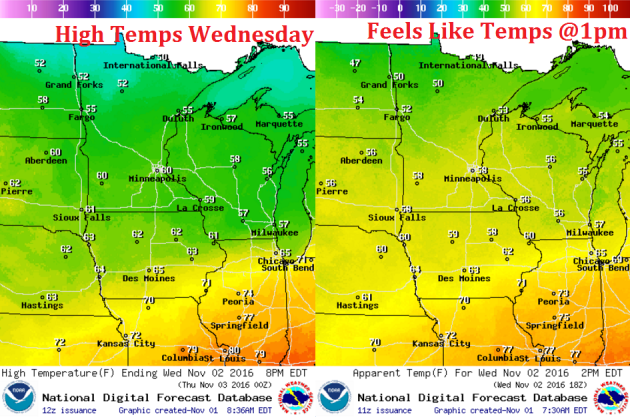 High temps from average on Wednesday will still be much warmer than average with highs nearly 10F above average across much of Minnesota. Winds on Wednesday will be light, just like they were on Tuesday. I don't see winds really increasing until maybe this weekend or early next week. A frontal boundary stalled across the Central US will keep much of Wednesday's moisture should of us, but a little could get sucked up across the southern part of Minnesota. Don't be surprised if a few light rain showers or sprinkles move in later Wednesday. The simulated radar from Tuesday to Friday shows mostly dry conditions across much of the state with the exception of a little light rain or sprinkle threat across the southern part of the state on Wednesday. Other than that, much of the region will stay dry through the weekend. Here's the 5 day rainfall forecast through Saturday, which mostly dry conditions across the state with the exception of those along the international border. Temperatures for the rest the week ahead look very mild with temps consistently in the 50s and 60s, which will be well above average. Even into next week, there doesn't appear to be any major cold snaps in sight! According to NOAA's CPC, the 6 to 10 day temperature outlook suggests warmer than average temperatures continuing across much of the Upper Midwest as we head through the early part of November. Here's the national temperature outlook from November 7th - 11th, which shows warmer than average conditions across much of the nation. The Active weather in Western US will become more sporadic, while a batch of heavier rain in the Central US begins to shift into the Eastern US. 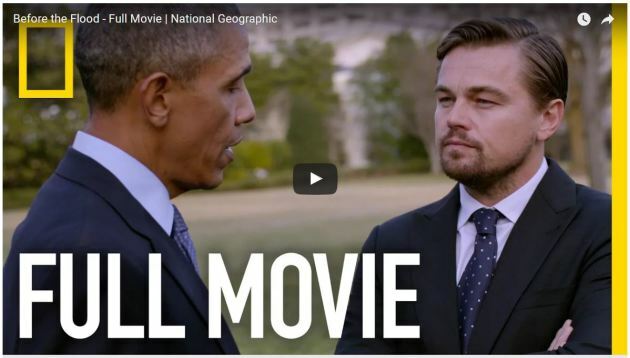 "You can watch Leonardo DiCaprio's climate change documentary right here"
In Before the Flood, Leonardo DiCaprio travels around the globe to explore the effects of global warming as well as possible solutions. The 95-minute movie is free on a bunch of platforms from Oct. 30 through Nov. 6, including including Facebook, Hulu and, yes, YouTube (see above). The wide distribution on one of the most popular free video platforms in YouTube may be an attempt to bolster views ahead of the United States presidential election on Nov. 8. "Experts: Climate Change Threatens Monarch Butterfly Migration"
"The Monarch Butterfly and Pollinator Festival, which began Thursday at the Instituto Cultural de México, continued through Friday evening with a symposium on the relationship between the Monarch Butterfly migration and climate change. The festival will conclude Saturday at the Pearl with a parade, a butterfly release, and more. 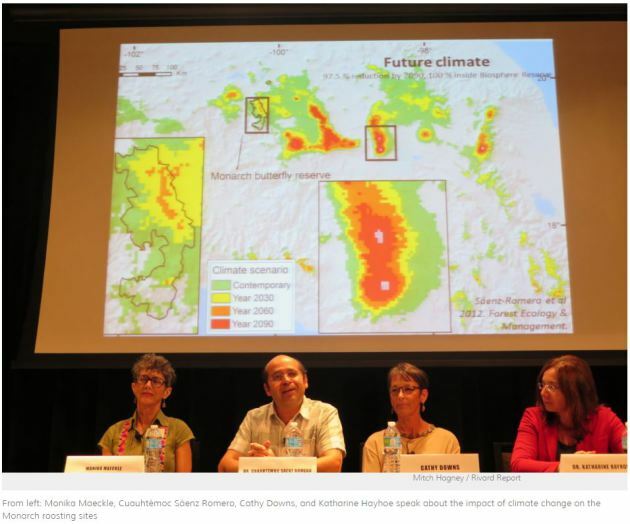 Katharine Hayhoe, director of the Climate Science Center at Texas Tech University in Lubbock, joined Michoacán-based forester and researcher Cuauhtémoc Sáenz Romero, citizen scientist and conservation specialist Cathy Downs, and Texas Butterfly Ranch founder Monika Maeckle onstage for the discussion. Maeckle also is founder of the Monarch Butterfly and Pollinator Festival. 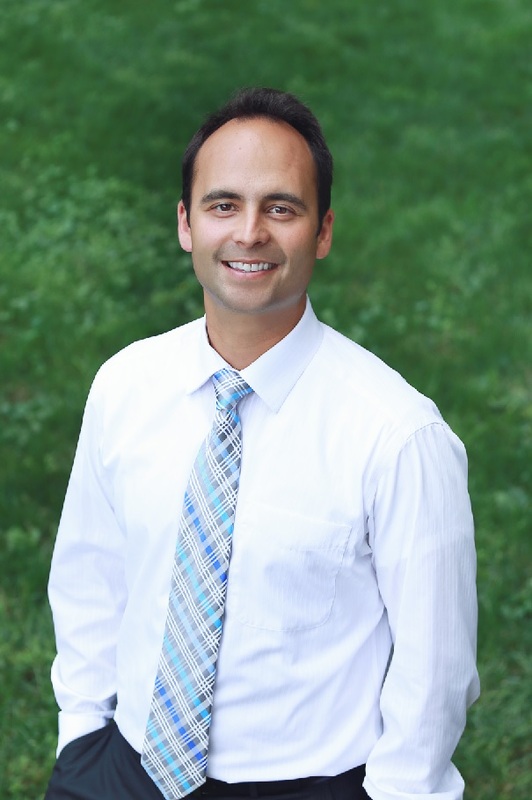 The panel was moderated by Dan Goodgame, Vice-President for Executive Communications at Rackspace. Monarchs are under threat due to many different factors, primarily those created by humans. Pesticides like neonicotinoids, which are suspected as largely responsible for honeybee die-offs are also responsible for killing other insects like butterflies. Glyphosate, a compound found in Roundup, is a potent herbicide that can seriously hurt milkweed and other plants that Monarchs rely on as a food and breeding ground."